Jemma Lucy reportedly wants to get back together with Stephen Bear. The 'Ex on the Beach' star dumped the hunk in 2016 after claiming he "couldn't keep his hands to himself", but now, following Stephen's recent split with Geordie Shore's Charlotte Crosby, Jemma is looking to get her hands back on her ex after thinking about their relationship while trapped inside the 'Celebrity Big Brother' house. A friend told the Sun Online: "Jemma went into 'CBB' hoping Stephen would re-enter the house and she would be thrilled to have the chance to get close to him again. "Jemma has made no secret about how much he hates Charlotte for dating Stephen and she will be ecstatic when she hears he's single again and she will be ready to pounce." 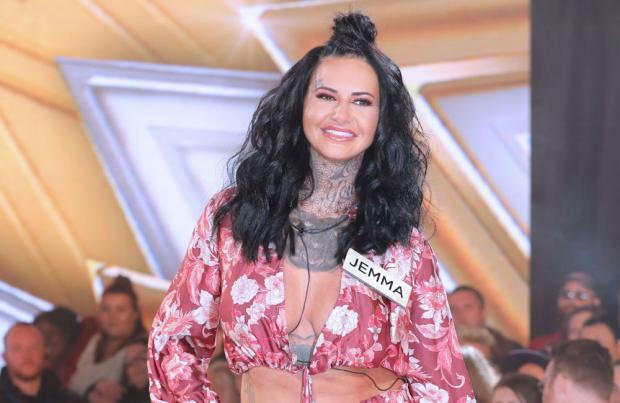 The tattooed reality star is said to be pining after the heartthrob - who is also known as Bear - and feels there's a massive chunk of her life missing now he's not around. The insider explained: "Jemma is really missing Bear at the moment. "She's had a lot of time to think about their relationship and she's started to miss the connection they had. They were childish together and it was always fun and carefree, so it's a huge part of Jemma's life gone now." Stephen recently took to Twitter to announce he'd called time on his relationship with Charlotte but the blonde beauty only found out when she logged into Twitter. The couple were reportedly struggling with their relationship after Charlotte briefly dumped Stephen while she was drunk because he refused to appear on her reality TV show. Now, Stephen - who won 'Celebrity Big Brother' last year - revealed he has been in talks with bosses to re-enter the house, although it's highly this time around as the series is set to conclude tonight (25.08.17). He said: "I could be going in 'Celeb Big Brother'. There are offers being banded about for me to go in there but I don't know whether to do it or not. "They want me to go in ASAP right for the end. We are negotiating on terms at the moment. If I go in there will be a hurricane."